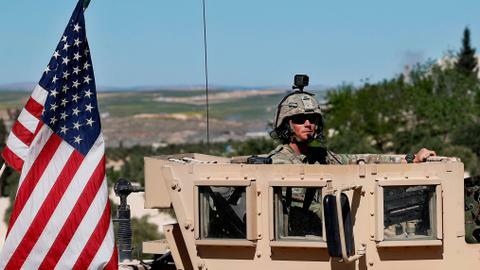 International condemnation has been swift after US President Donald Trump, in violation of international law, declared his administration would recognise Israel's sovereignty over the occupied Golan Heights in Syria. 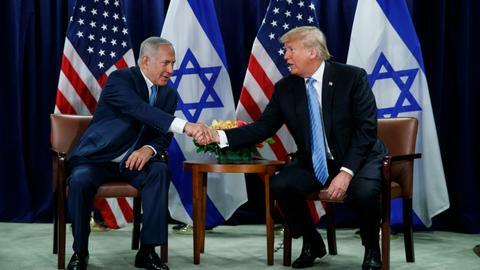 US President Donald Trump's statement that Washington should "fully recognise Israel's Sovereignty" over the Israel-occupied Golan Heights has drawn international condemnation. Trump's announcement on Thursday was a major shift in American policy. The reason for the move was not given, but it could give Israel's damaged prime minister Benjamin Netanyahu a boost a month before elections. Netanyahu is facing corruption charges and the UN has said Israel's abuse of Palestinians in Gaza could be crimes against humanity. Netanyahu is due in Washington this weekend for the annual meeting of AIPAC, the American Israel Public Affairs Committee which lobbies the White House and Congress for pro-Israel policies. The Trump administration has been considering recognising Israel's sovereignty over Syrian terrorities it occupied after the 1967 war. Netanyahu pressed the matter with visiting US Secretary of State Mike Pompeo this week. World leaders and international organisations have criticised Trump's move. The European Union underlined it does not recognise Israel's sovereignty over the Golan Heights as European allies viewed the status of the territory as occupied. "The position of the EU has not changed," an EU spokeswoman told Reuters. "The European Union, in line with international law, does not recognise Israel's sovereignty over the territories occupied by Israel since June 1967, including the Golan Heights and does not consider them to be part of Israel's territory." France does not recognise the Israeli annexation of the Golan Heights and its recognition – as called for by Trump – is contrary to international law, its foreign ministry said. "The recognition of Israeli sovereignty over the Golan, occupied territory, would be contrary to international law, in particular the obligation for states not to recognise an illegal situation," the ministry said in a daily briefing. It also said that UN Security Council resolutions had recognised the annexation as null and void. The Golan Heights is Syrian territory occupied by Israel, a German government spokeswoman said when asked about Trump's call to recognise Israeli sovereignty over the strategic territory. "If national borders should be changed it must be done through peaceful means between all those involved," spokeswoman Ulrike Demmer said of the occupied Golan Heights. The Syrian regime has condemned US President Donald Trump's declaration that his administration will recognise Israel's sovereignty over the occupied Golan Heights. 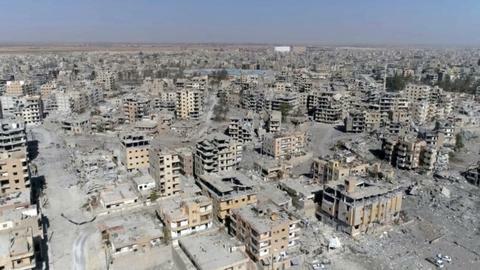 Damascus said it was an "irresponsible" act. A statement from the regime's Foreign Ministry on Friday said that Trump's comments confirm "the blind bias of the United States to the Zionist entity," referring to Israel. It added that Trump's statement would not change "the fact that the Golan was and will remain Arab and Syrian." Iranian President Hassan Rouhani accused Trump of "colonialism" for recognising Israeli sovereignty over the Syrian territory. "In a point of time when colonialism ruled, some colonialist powers did such things and bestowed parts of one country to another... but this is unprecedented in the present century," Rouhani said, according to the official government website. Russia's Foreign Ministry said on Friday that a change in the status of the Golan Heights would be a direct violation of UN decisions. Turkey's President Recep Tayyip Erdogan dismissed Trump's move, saying "the Golan Heights have been under the occupation of Israel since 1967." "Not only the Arabs in the region but also Turkmens were forced to migrate because of this occupation. We will never allow the legitimation of the occupation of the Golan Heights," he said. Top Turkish officials were among the first to respond to and slam Trump's declaration. "The territorial integrity of states is the most fundamental principle of international law," said Foreign Minister Mevlut Cavusoglu in a tweet. "Attempts by the US to legitimise Israel's actions against international law will only lead to more violence and pain in the region. Turkey supports Syria's territorial integrity," he added. Cavusoglu followed that up on Tuesday, blasting "some Arab countries" for their silence over Trump's endorsement of the Israeli land grab. Speaking at an election rally in southern Antalya province, the foreign minister said even the European Union is reacting but "some Arab countries" are unable to raise their voice out of fear of the US and Israel. Cavusoglu added: "I am not saying all the Arab countries. I do not mean Jordan and Qatar." "I mean the countries which are bowing down to the US and not raising their voice over Israeli occupation in Jerusalem." Presidential spokesman Ibrahim Kalin also condemned Trump's move against Syria. "The US government’s @realDonaldTrump attempts to legitimate Israel’s illegal actions towards Golan Heights mean nothing but supporting Israel’s policy of occupation and deepening the conflict in the region," Kalin tweeted. UN Human Rights Council passed resolution opposing occupation of Golan Heights and urging Israel to comply with UN resolutions. In an interview with Christian network CBN, US Secretary of State Mike Pompeo said God may have sent President Donald Trump to Earth to protect Netanyahu's Israel. Pompeo was asked during the interview, "Could it be that President Trump right now has been sort of raised for such a time as this, just like Queen Esther, to help save the Jewish people from the Iranian menace?" Pompeo replied, "as a Christian I certainly believe that's possible. It was remarkable. So we were down in the tunnels where we could see 3,000 years ago, and 2,000 years ago, if I have the history just right, to see the remarkable history of the faith in this place and the work that our administration's done to make sure that this democracy in the Middle East, that this Jewish state remains." "As a Christian, I certainly believe that's possible. I am confident that the Lord is at work here."